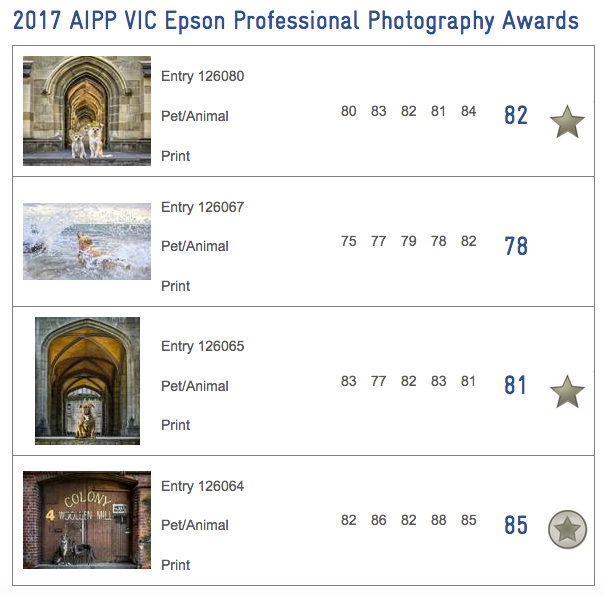 Another year of AIPP Australian Professional Photography Awards done and dusted. 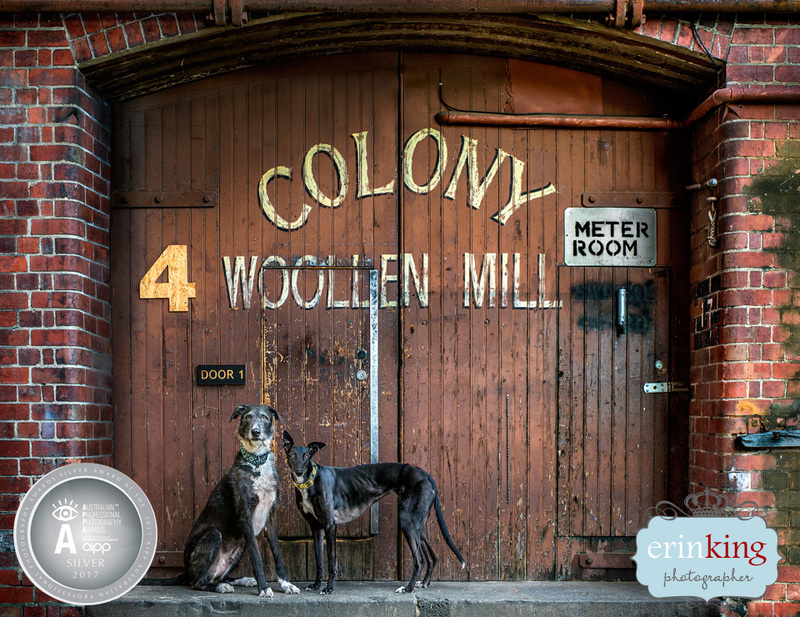 It all started with the Victorian State Awards in February, where 3 out of 4 of my images were awarded and I was a finalist for the Victorian Pet/Animal Photographer of the year (again) but sadly didn’t take out the title. 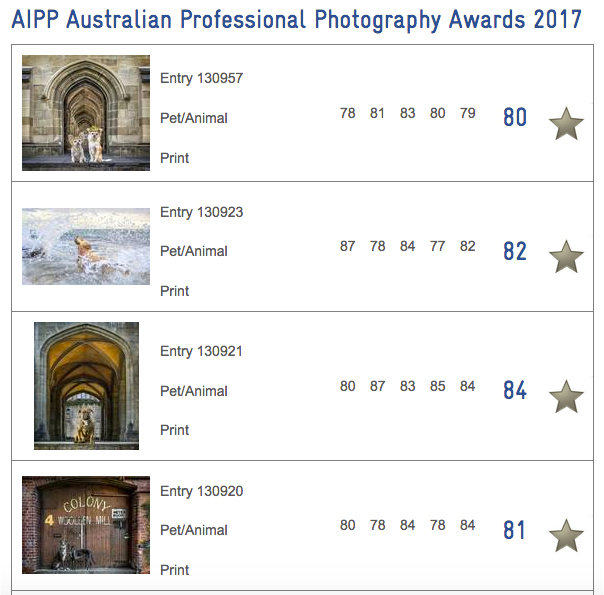 So in August, I went into the Australian Professional Photography Awards (the Nationals) with the hope to better last years result and my result at State, hopeful to get all 4 out of 4 entries awarded. Well guess what?? ?… I DID IT! I got all 4 awarded Silvers and I’m stoked! For once my results were on par with my expectations and I didn’t come away disappointed. I entered the same 4 images only 2 images I re-worked according to judges feedback at the State awards for re-entry into the Nationals and luckily this got them over the line. Below are the images I entered along with before and after edits and a video of one of my images being talked up during judging. The variation in the scoring is very interesting and I find often hard to accept especially seeing as photography is so subjective. While the judging criteria is the same for both the State and National awards, because you actually have to qualify to enter the Nationals the standard of photography overall is so much higher and hence the judging seems much harder. This girl was once a puppy farm dog, but now she is lucky to be treated like royalty. 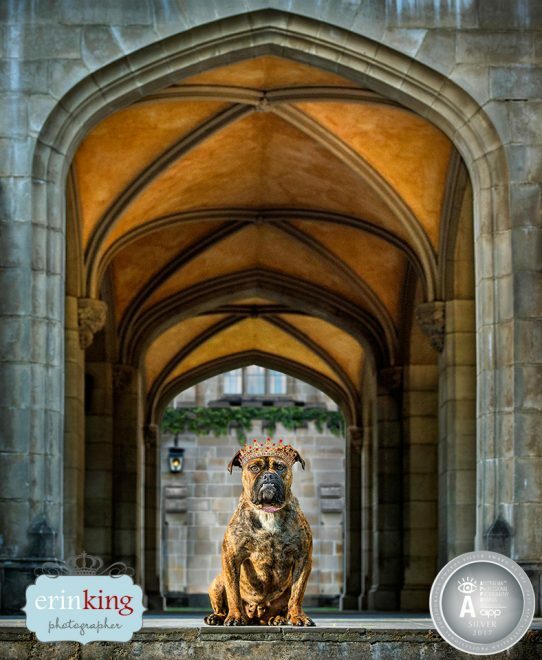 In this before and after video of my “Bulldog Queen” image creation you can see she was photographed in this setting with this beautiful side light. However the original background was too distracting, so I re-created it from numerous other shots, taking pieces from each shot to build this little scene. I also added the crown (which I had photographed on her head in other shots) to further add to the story of making her a Queen standing majestically in front of her castle. This is the original image out of the camera with basic colour and exposure adjustments. This was my final edited image as entered into the Victorian State Awards. I’ve cropped it closer, softened the colour palette, and brightened it up. Unfortunately it scored 78 just missing out on an award. One of the judges comments was that they wanted to see more expression from the dog. I took this feedback and edited the image for re-entry into the National Awards. This is the final version having changed the dog’s face to something more suitable showing more expression and happiness. This change meant the image scored higher being awarded a Silver award with a final score of 82 at the National Awards. 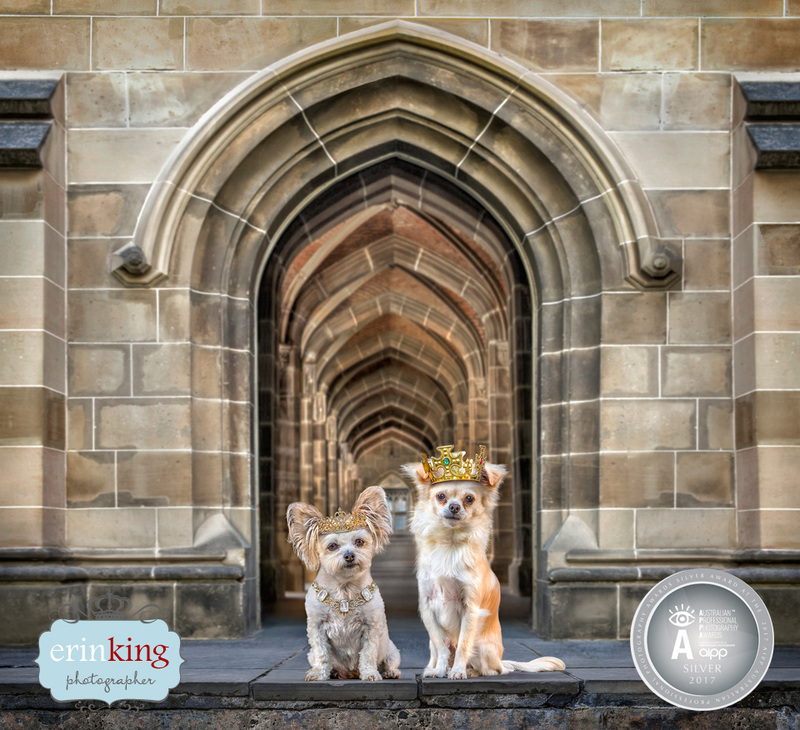 This image “Royal Chihuahuas” was a composite, created from a number of different shots. I was actually surprised that it scored an 82 – Silver at the State awards and I knew it wasn’t going to cut it going into the Nationals. 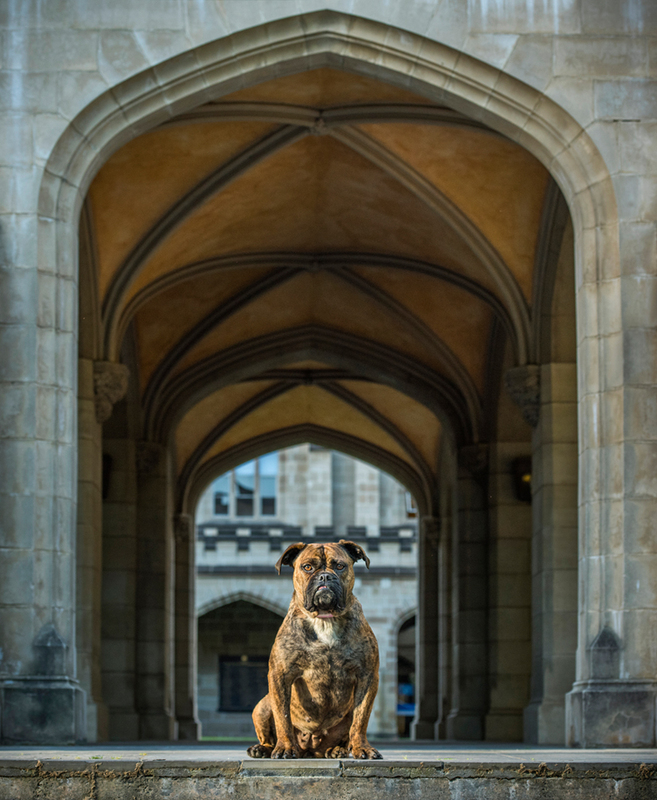 Feedback from the judges at a print critique was that the dogs didn’t stand out enough and the archway was actually the main focus in this image. In the after version, I’ve stripped back all of the strong colouring inside the archway and some colour being cast onto the dogs. I’ve also re-created the top of the archway to complete the framing and darkened the image overall. I added a necklace for some more bling for Peanut, adding to her royal status. The re-edited version just scraped through at the Nationals scoring an 80 – Silver award. The changes paid off…Phew! This image was actually my highest scoring print at the State awards and was talked up during the judging to score 85 – Silver Distinction. I re-entered this image without any changes into the Nationals and it only scored a 79! As you can imagine, I was gutted. But luckily it also got challenged and further discussed being talked up again. Once re-scored it received an 81 – Silver. 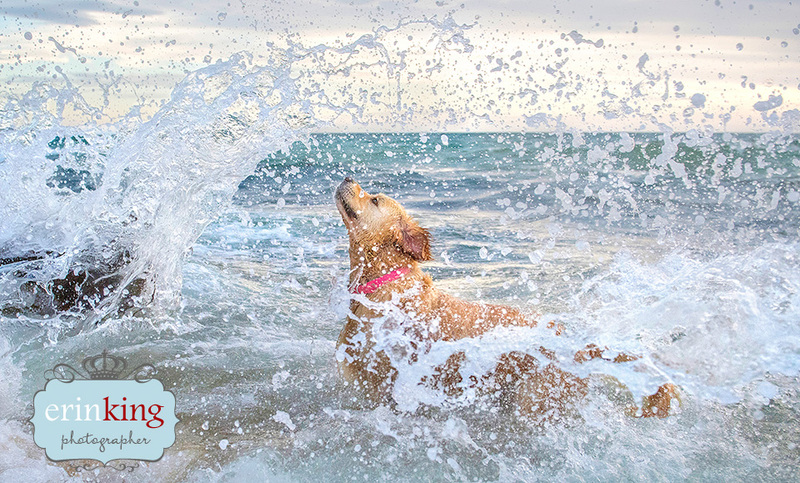 3 out of my 4 images this year were created from client shoots and not just client shoots, but rescue dog shoots shot specifically for my rescue dog book project. I also entered my rescue dog photobook into the awards, in the photobook category, but sadly it just missed out on an award by one point, scoring 79. However it did receive some really positive comments from the judges and it was stated that the photography was of a very high professional standard. I was amazed that one judge scored it a 92!!! which is one of my highest scores ever and in the Gold range, however another scored it a 72, which ultimately and sadly brought the overall score down. 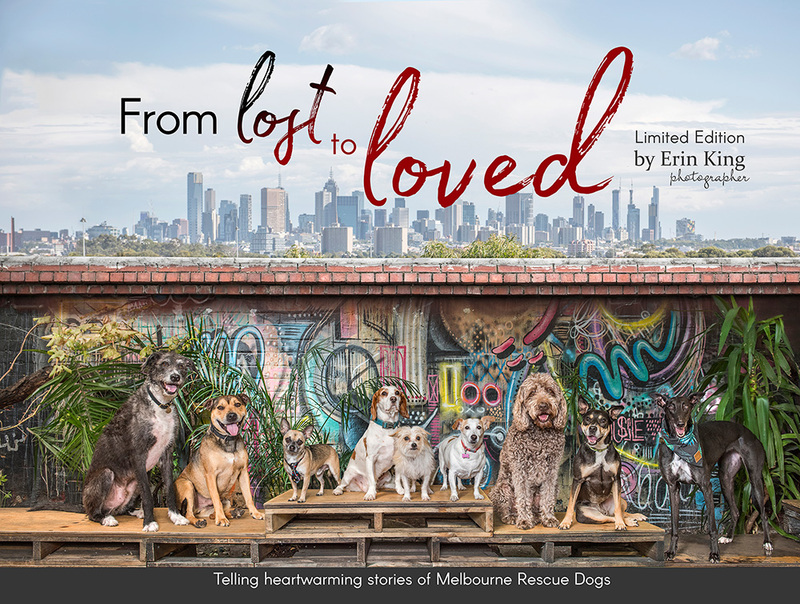 My book ‘From Lost to Loved’ is available for purchase here: with 10% of sales donated to the selected pet rescue groups. 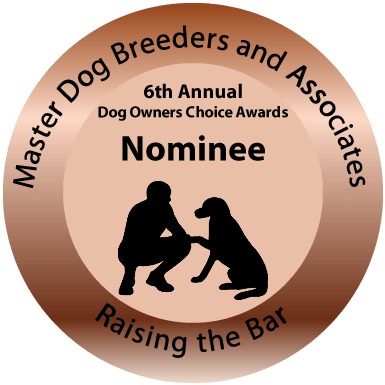 I’m absolutely honored to be a nominee for Canine Photographer/Artist of the Year in this years Master Dog Breeders Awards! The Awards provide an opportunity for all those involved in any activity or service with dogs to be acknowledged for their achievements and commitments to canine well being. It is about standards of service and ethics to clients, but most importantly, what makes these awards unique is that the focus is on the people and what they do and not on the achievements of the dogs. To win this award would mean so much as these nominations come via my clients and peers for the work I have done with them. 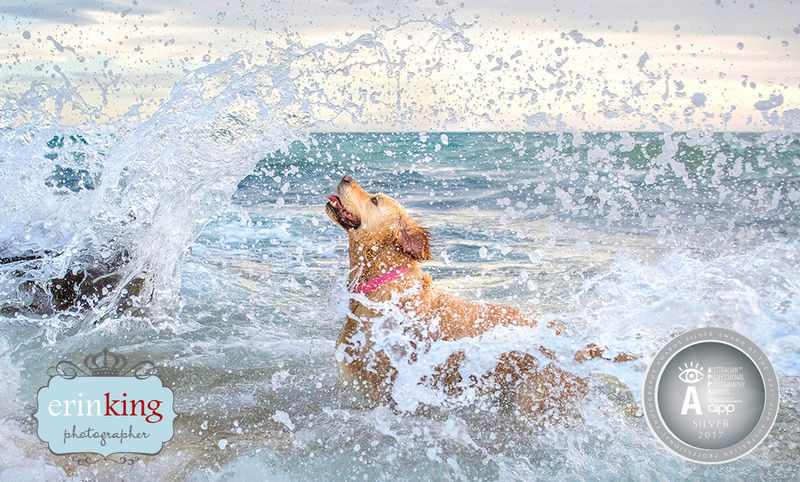 They are designed to put the focus on those who do positive things for the dog world and who provide a great client and customer service experience. So I would like to take this opportunity to thank all of the people I have worked with including my clients and animal organisations/rescue groups that I have been able to provide pet photography for. Especially a big thanks to those people who took the time to nominate me for this award. 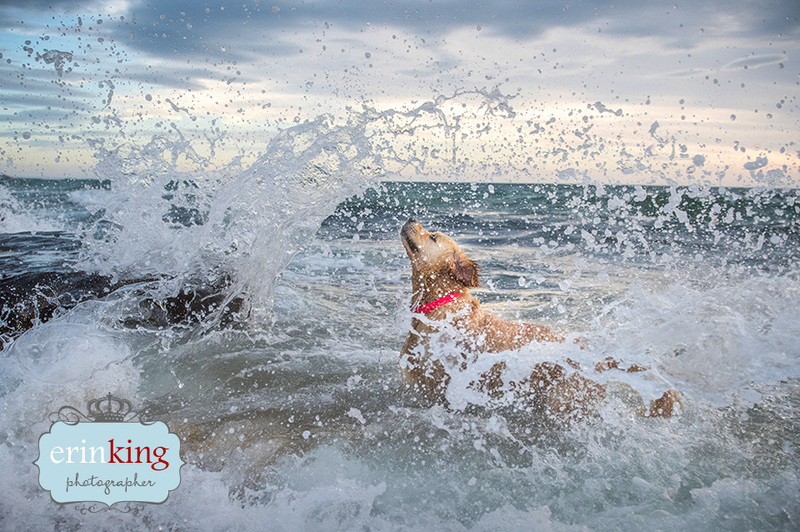 I have loved meeting everyone and their pets and getting the opportunity to share in your relationships with your pets and tell your stories through the beautiful photography we create together. Thank you all so much from the bottom of my heart! The winner will be announced in March so cross your fingers for me, I havent seen who the other nominees are yet, but I’m sure I’ll be up against some stiff competition. I’m happy to be able to announce that my pet photography image of Flynn the Chocolate Labrador which I entered into the annual ASWPP Photography Awards has won in the Pets – New Talent category! The PHOTOGRAPHY EXCELLENCE AWARDS 2012 aim is to encourage and motivate the photography industry, and to promote professional photography to the general public. 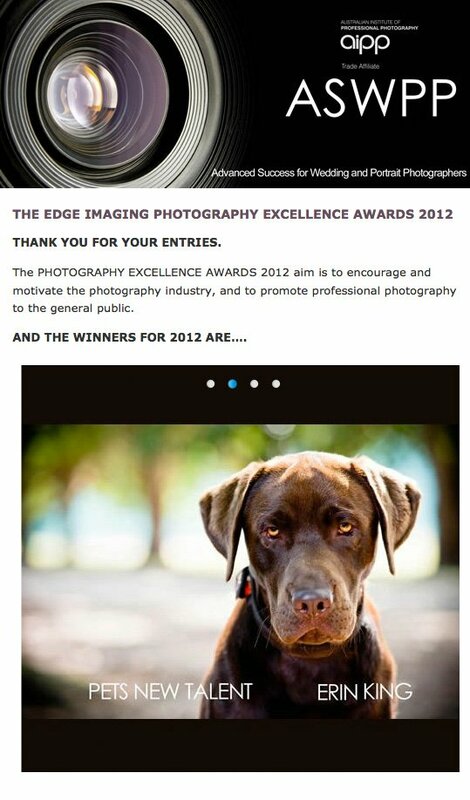 This is my first big win since starting out in Pet Photography, it feels really great to be able to achieve this and have my work acknowledged within the professional photographic industry. I’m hoping there will be many more to come my way, as now I am very motivated to keep entering competitions and better myself and my photography. 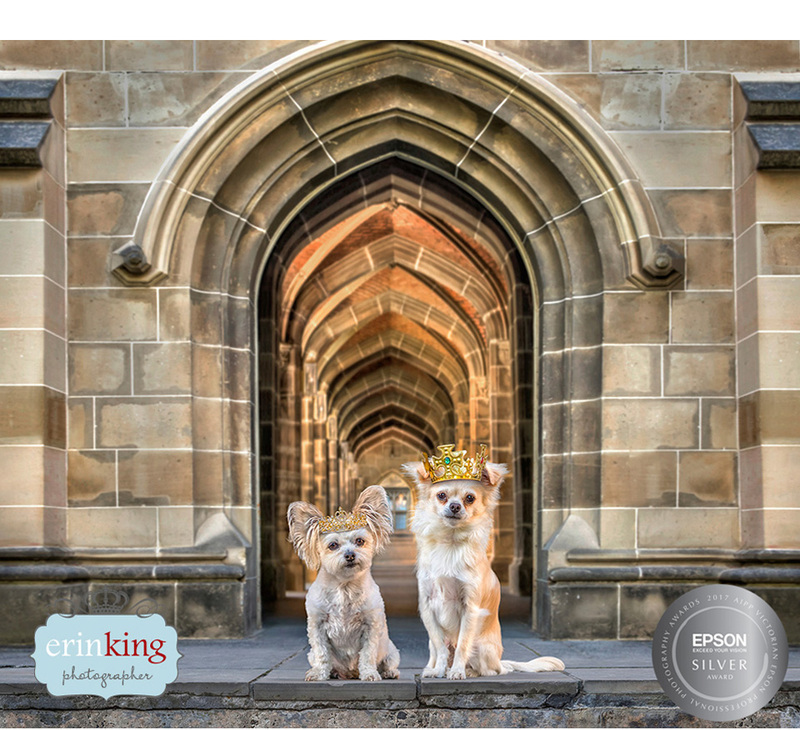 I only wish there were more competitions out there open to NZ and Australia, specifically relating to pet photography, for professionals to enter and gain recognition. 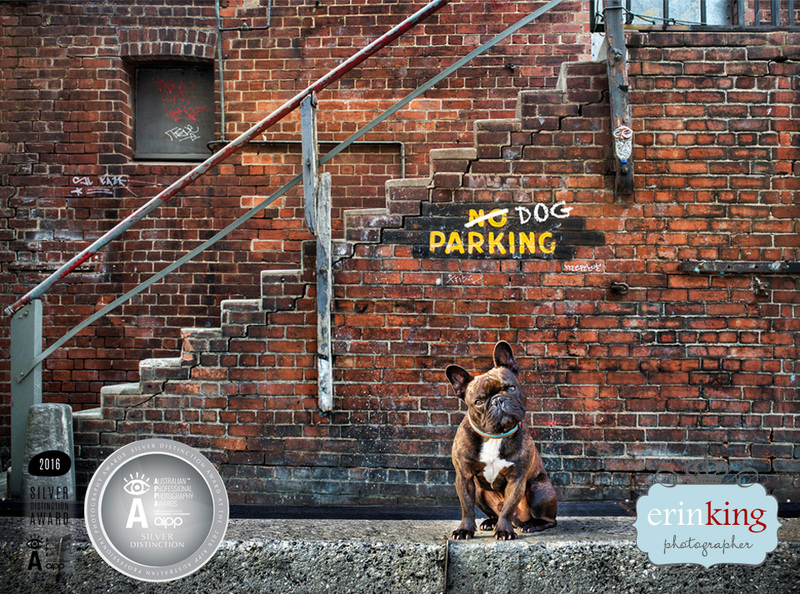 I’m still crossing my fingers that one day the AIPP and NZIPP will open a category for pets in their professional awards.